The announcement by ONS that housing associations are to be reclassified as non-financial public corporations, thereby moving at least £60bn of debt onto the public balance sheet, came as a surprise to many. It perhaps came as more of a surprise than it should have done, given that the decision rested upon policy changes that occurred several years ago. The current raft of policy proposals will see the government taking an even stronger role in directing the affairs of housing associations. They are therefore, one would assume, only going to confirm that the ONS decision has moved things in the appropriate direction. That raises the question of the future for housing associations. There are, at least, three scenarios. The Government could persist with the extension of the Right to Buy to housing associations, Pay to Stay, and all the rest of it. It could go on to push for fixed-term tenancies as the default, which would appear to be the next step. If it did so then this would pretty much ensure that housing associations stay exactly where they are now in public accounting terms, but it would leave them as less than complete animals of the state. The Government would then have to live with the additional debt. The Government could go more decisively in this direction and fully nationalise housing associations. This would, one could only assume, be a prelude to disposal of housing association stock through ‘proper’ privatisation to commercial landlords. Or the Government could use selective deregulation to try to reduce the amount of state control over housing associations and thereby get them reclassified back into the private sector. This would shift housing association debt back off the government’s books. Given that the Government appears to be committed to the policy agenda set out in the Housing and Planning Bill it would have to find a range of counterbalancing deregulatory measures that will tip the balance in favour of reclassification. I’m not sure how much of an exact science that might be. How much deregulation elsewhere would neutralise an enforced Right to Buy or compulsory Pay to Stay? I’m reasonably confident that calling the Right to Buy ‘voluntary’ in the legislation isn’t a cunning enough trick to fool the sages at the ONS. Or indeed a twelve year old child. Maybe the Government will row back on its current agenda. There is still time. If it doesn’t then presumably there is going to have to be some serious pruning of the HCA regulatory framework to compensate. We may well get to test that out. As Emma Maier argues in post at Inside Housing (£) on Friday, while zealots in the Treasury might well have favoured scenarios one and two above it looks like the pragmatists of DCLG, who favour scenario three, have won the battle inside Westminster. Emma’s piece noted that scenario three itself is not without risks. For example, a reduction in HCA oversight in order to give housing associations greater financial independence could be viewed negatively by the credit rating agencies. That got me thinking. It would be worth looking over the fence. Current developments in the care sector might well give us useful insights into the desirability of a more deregulated future for providing housing for vulnerable people. What is going on in the care sector at the moment is pretty hair-raising, if you stop to think about it. We are in the middle of a slow motion car crash. Final impact may occur next April, if it doesn’t occur before then or the Chancellor doesn’t have a major rethink. It is more than twenty years since the government decided that the vast majority of care should be provided not by the state but by private and not-for-profit providers. This ‘mixed’ economy has evolved since in various ways. Some very small providers have struggled under the need to meet regulatory standards designed to ensure the safety of vulnerable people. There has been industry consolidation. There are a number of for-profit providers operating nationally at significant scale relying on complex financial arrangements that are fully plugged in to the global capital markets. Current policy is bringing the economy of social care into the spotlight. On the income side, the vicious budget cuts George Osborne has handed down to local authorities have been reflected the contracts authorities are willing and able to offer care providers. So hourly and daily rates continue to be squeezed dramatically. At the same time costs rise. In particular, that nice Mr Osborne’s proposal for a national ‘living’ wage is going to hit some operators in the care sector – which traditionally has not been one of the more generous payers – pretty hard. Some providers use a business model which already incorporates a genuine living wage: for them the reductions in local authority fees presents a continuing challenge but the increase in the minimum wage holds less terror in the short term. Others rely on low wages to make their business viable and the implementation of Osborne’s N’L’W may well mean they’re finished. There is talk of as much as half the sector soon becoming non-viable. One of the byproducts of the Chancellor’s stance on local government funding, while at the same time postponing the implementation of the Dilnot Review’s cap on lifetime contributions, is that there is an increasing likelihood of cross-subsidy within the older population: those who are very poor are increasingly being subsidised by those who are less poor, but by no means rich. Representations are being made to the Treasury ahead of the autumn statement: ring fencing of the NHS budget while stripping the funding from social care is ultimately counter-productive. If social care collapses it just means the costs of care are passed back to the NHS. Or vulnerable people will be left entirely unsupported. Indeed, there is plenty of evidence that is already happening – the number of older people receiving social care has been declining, even while the number of older people is increasing, because local authorities continue to tighten eligibility criteria. This is a process surely set to accelerate. The point here is that the discussion of the crisis in social care has now spilled over into open discussion of the future of particular organisations. Yesterday Four Seasons, the biggest operator in the sector, featured in both the Guardian and Independent. Indeed it made the front page of the Independent, as well as the comment pages. Four Seasons is private equity-owned and heavily indebted. It is reported to be struggling in the face of the policy-induced financial squeeze – reports that it, perhaps not surprisingly, denies. This situation made the front page of the Independent because Four Seasons is now, it is reported, the target of a US-based so-called vulture fund. The Independent alleges that an organisation called H/2 Capital Partners is systematically building a position by buying up Four Seasons debt. The implication is that when Four Seasons goes under as the principal creditor it will be first in line to benefit. Whether this account of the situation is accurate or not it raises questions about the types of organisations involved in the sector. Is it appropriate for the provision of social care to be subject to the vicissitudes of the financial markets? Is it sensible, humane, ethical, for the care of the most vulnerable members of our society to be subject to the risk of sudden organisational collapse or cessation as a result of the activities of predatory investors with no particular interest in social care but an eye for a bargain and for assets that can be stripped and resold? I am reminded of John Lanchester’s argument in How to speak money that the finance industry has a strong dissociative element. It is by distancing themselves from the human consequences of their actions – by treating their role as no more than manipulating numbers on a spreadsheet – that investors of varying degrees of ruthlessness are able to do what they do. To think about what lies behind those numbers and therefore what might befall real people as a result of their decisions would result in different behaviours and different decisions, assuming those making the decisions have a shred of empathy. If I remember correctly one of the examples Lanchester uses relates to social care: two investors looking at the way the return from their portfolio of assets was affected by the ‘churn’ in the resident population had a sudden moment of clarity in recognising that increased churn means an increased death rate. There are real people behind the numbers. If it becomes increasingly argued that this is not an acceptable or ethical basis for caring for our most vulnerable then the question of what the alternative might be, and how might we get from here to there, is yet to be addressed. I don’t think it is fair to blame Thatcher, but I don’t think we have enough centralised planning. Everyone likes to criticise civil servants, but the reality is you need people to think about where the country is going and what the right decisions for the long term, are. I don’t think that is bureaucratic, I think it’s good governance. Given that Hands has previously been styled an arch-Thatcherite this is an intriguing position. Clearly he is not saying that for-profit organisations have no place in the system. But the implication of his position is that leaving things in this area of social policy simply to for-profit organisations focused on short-term returns to resolve does not represent a viable strategy. Perhaps we should give thanks when even one sinner repents. 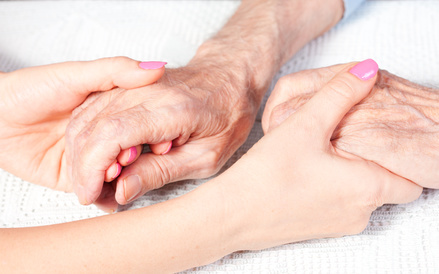 In passing Hands also makes the important point that many of the Four Seasons assets that are performing less well, and which they may well consider selling, are the ones that it inherited when it took over Southern Cross, the care home provider that imploded in 2011 as a result of labouring under an unsustainable debt burden as a consequence of private equity-driven financial engineering. You can imagine a future in which the housing association sector comes to look rather similar to the social care sector now. Government moves to deregulate the housing association sector will result in greater financial freedoms – almost by definition. This will result in housing associations becoming increasingly financialised. The government’s enforced rent reductions have placed a number of landlords in financial distress. Almost everyone in the sector expects a period of widespread merger and acquisition that is only now just getting started. We would head for a world of few very big landlords who would have to attend ever more closely to the markets. The Four Seasons experience reinforces the point that the terms upon which such organisational restructuring takes place are vital for the subsequent health of the organisation. And the vulnerability of for-profit providers of public services to political caprice and ideological fixation has been graphically exposed. Would this be any more of a sensible way to provide decent housing for poorer households than it is to provide social care? Probably not. But you can’t help thinking that however foolhardy this route to the future might be that won’t stop us pursuing it. It also suggests to me that in fact scenarios two and three set out above would turn out, in the long term, not to look very different. Another great post. Every time a sinner repents it is good news in my book. I’d throw in that there’s a sort of irony here, because part of the attraction for some vultures is the possibility of buying up a company like “Four Seasons” and then closing down the homes to sell the properties (largely to becoming housing?) into our overheated property market. Good point. We’re also in the process of losing affordable office space in cities as it is converted into flats so owners can take the capital gain, a process that the Housing and Planning Bill will reinforce through the permanent relaxation of planning requirements on conversions. All roads lead back to a dysfunctional housing market! Gah. Don’t remind me about that. It’s a big problem for the business I helped found. In theory the solution is we move business and life out of the city. But there are problems with that too… as a company in the B2B space we rely on our central location to keep us in contact with the big companies who can still afford to be here. Interesting piece. You could go back to the nineteenth century and tell a similar story about the development of the railways!